If you feel like your appearance could use a volumizing boost, then you’re not alone. Every year, millions of injectable filler treatments are given in the U.S. to rejuvenate and revitalize aging features. They are extremely effective at providing high-quality results to correct under-eye and lip concerns with quick treatments and little to no downtime. Now you can look your best without having to take time away from more important things in life. It’s an unfortunate and inevitable reality: The aging process can rob your face of its natural fullness and shape. Over time, necessary elements to healthy and voluminous contours like collagen and elastin will begin to fade. That can leave your midface and under eye areas with a flattened or hollowed out look. Combine that with outside influences like gravity and sun damage, and you’re left with a recipe for an aging appearance. The same slowdown in the production of collagen and elastin can also lead to a thinning of the lips. The red fleshy part, called the vermillion, can start to disappear as you age. Vertical lines in the lips and in the surrounding mouth area can start to crop up. Often referred to as lipstick lines, they can be caused or worsened by smoking due to the years of repeated muscle contractions. These common issues can be safely and effectively corrected with soft tissues fillers. You can restore and replenish lost volume without the need for surgery, implants, or other invasive measure. 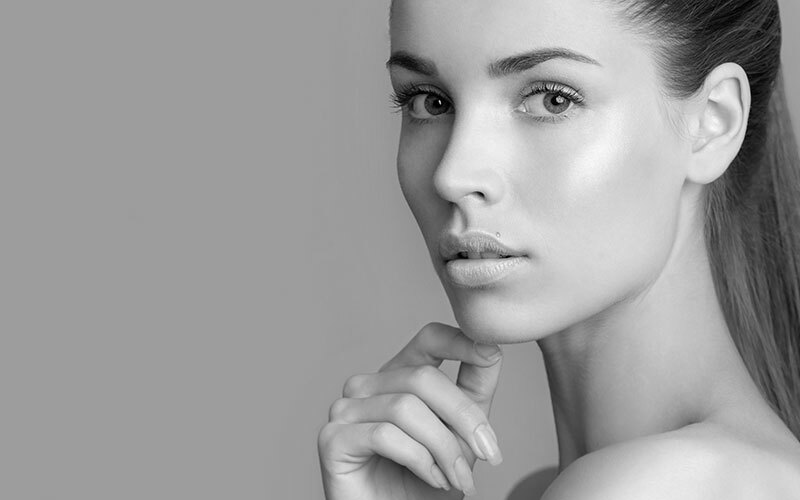 The injectable dermal fillers we use here at New Look New Life are synthetic gels derived from hyaluronic acid (HA)—a naturally occurring substance in your skin. This makes for a safe and effective treatment that most closely resembles natural skin tissue. For Under the Eyes – The tear troughs under the eyes are often one of the first areas to show the signs of aging. That’s because the skin is thinner and there’s already less volume there to begin with. Once the fullness has faded, this area can appear gaunt and darkened, even making you look constantly tired or depressed. However, you can replenish the volume under the eyes to restore a more energetic and youthful look with fillers. For this application, we may choose from either Juvéderm® or Restylane® Refyne and Defyne. Both of these HA fillers work to provide natural results with precise injections. For the Lips – With all of the attention paid to other areas of the face, the lips can sometimes be an after thought. But thinning lips can be a sure sign of your age. Fortunately, you don’t have to resort to potentially risky treatments like implants to plump them up. With Juvéderm Ultra® and Juvéderm® Volbella XC, the lips can be volumized in no time to provide organic-looking results, even if you were born with a naturally slender set. If your appearance is suffering from the signs of aging under the eyes and in the lips, fill them in with dermal fillers at New Look New Life Cosmetic Surgical Arts. Both Juvederm and Restylane are extremely safe and effective solutions to counteract these common aging issues. Contact us to learn more or to schedule your initial consultation. We have offices conveniently located in Manhattan, Westchester, and Brooklyn to help all of our New York patients achieve their cosmetic goals.